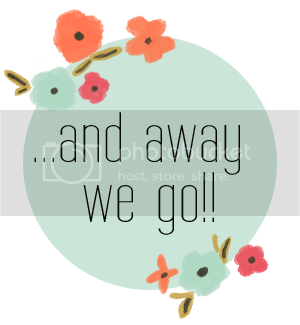 ... and away we go! 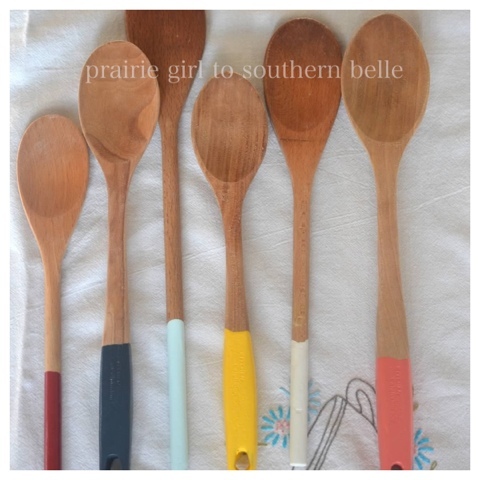 : Guest Post - Painted Wooden Spoons! 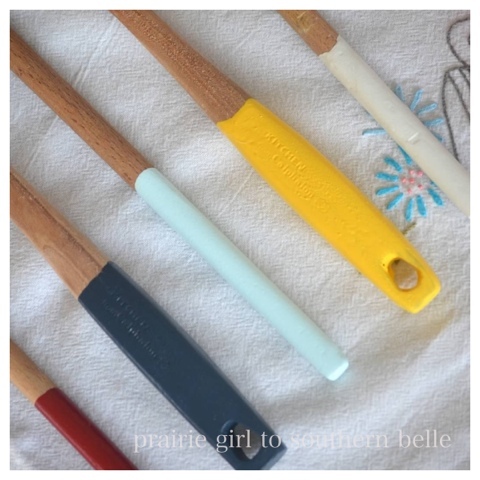 Guest Post - Painted Wooden Spoons! 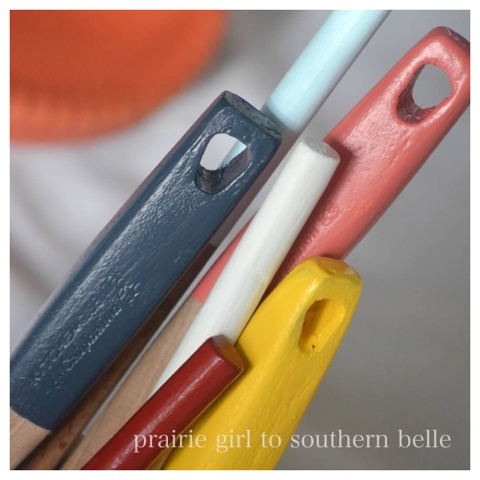 Today I am happy to have Jessica, from Prairie Girl to Southern Belle, back to share a simple Painted Wooden Spoon project. The colours she has used are so fun! What a great way to add some flare to an everyday task! I'm thinking I need a wooden spoon upgrade! Hey there! It's Jessica from Prairie Girl to Southern Belle and I'm so excited that Leanne asked me to share one of my favorite things with you! The other day I dipped my spoons. And you know what? I love them! I ran to Lowe's and picked up some of those cute little paint samples. I plan to use them for lots of projects around the house, so stop by my blog and see if you can spot these colors around my place. These colors make me happy! a glass so they could dry. Why not make the things and spaces you use every day pretty? Such a cute and simple idea! I have a few wooden spoons in the drawer right now that could use a nice little makeover. Hmmmm....I'll have to go see what paint I can dig up! Thanks for sharing! These painted spoons are fabulous!! I'm in love with them!